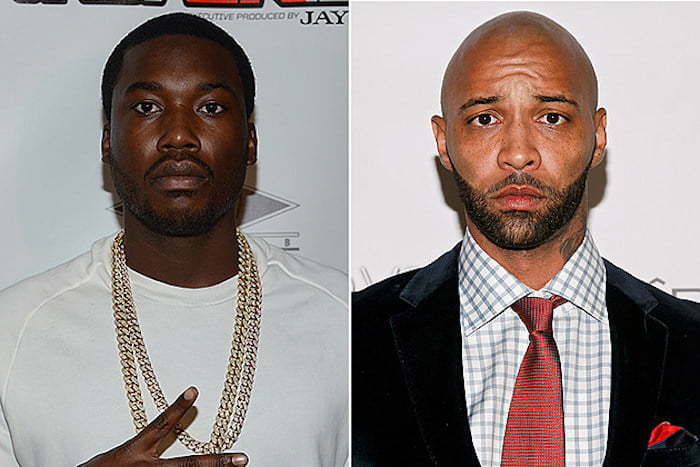 Meek Mill is currently getting a lot of support from his celebrity peers but Joe Budden is a rare case. A lot of rappers are probably thinking the same way as the Everyday Struggle host, but only he is brave enough to say it out loud. During Wednesday episode of his morning show, Budden talked about why he is not sorry for Meek Mill and broke down a number of ways that he thinks the Philly rapper could have avoided being sent back to prison. While some fans seem to agree with what he has to say, a large number of folks are bashing him for being a hater. Meek Mill pleaded in court asking the judge to cut him some slack because he has made it this far and can’t afford to start over. The judge wasn’t haven’t it and handed down the 2-4 prison sentence regardless. DJ Akademiks said on Complex’s Everyday Struggle that he is surprised about the sentencing but not surprised that Meek is waist deep in legal troubles because that is how the system is especially if you’re a black man. Joe Budden was much more critical of the Dreamchasers rapper and there might be some truth in what he has to say. The judge in Meek Mill case is known to be strict and she has been working with the rapper since 2013. Meek’s attorney called her bias and vindictive for handing down the sentence on Monday, telling reporters that she once asked the rapper to remake Boyz II Men classic single “On Bended Knee” and give her a shout-out. he does have a point. ever since 2015 i have been hearing that Meek was constantly in danger of violating Probation.